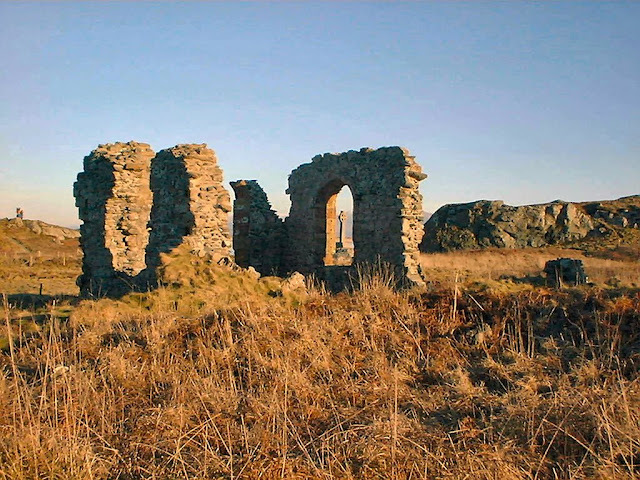 Dwynwen was the prettiest of King Brychan Brycheiniog’s daughters. 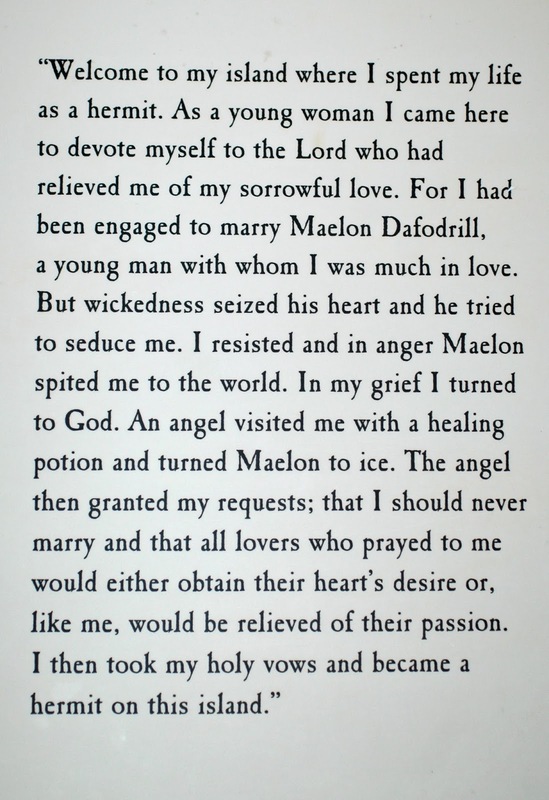 She fell in love with Maelon Dafodrill but ,unfortunately , the King had already arranged for her to marry a Prince. 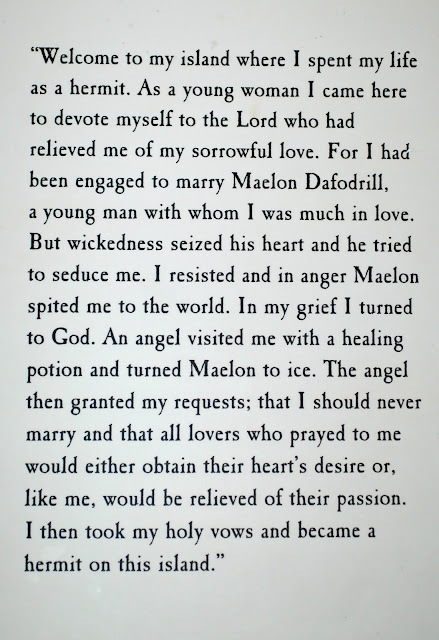 Maelon took this news badly and a distraught Dwynwen fled to the woods to weep and pray to God for assistance. 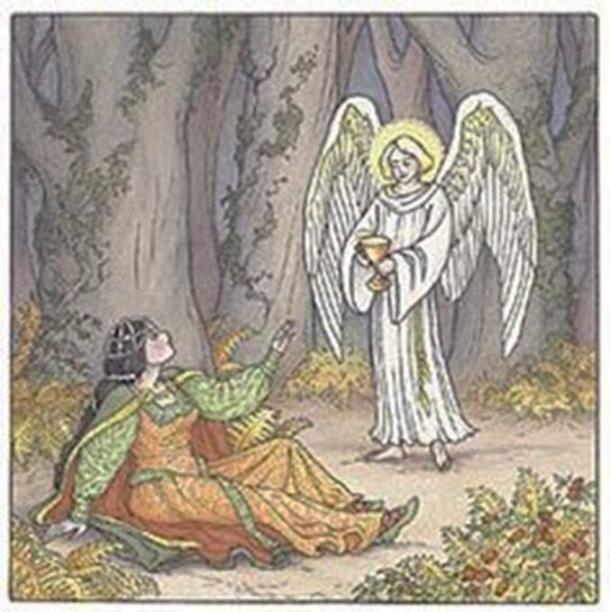 Dwynwen was visited by an Angel who gave her a potion to help her forget Maelon and turned him into a block of ice! 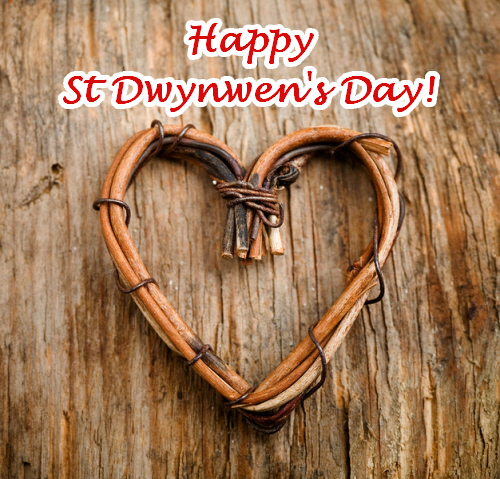 God then granted Dwynwen three wishes: Dwynwen's first wish was to thaw Maelon, her second wish was that God would meet the hopes and dreams of all true Lovers and her final wish.....that she should never marry. 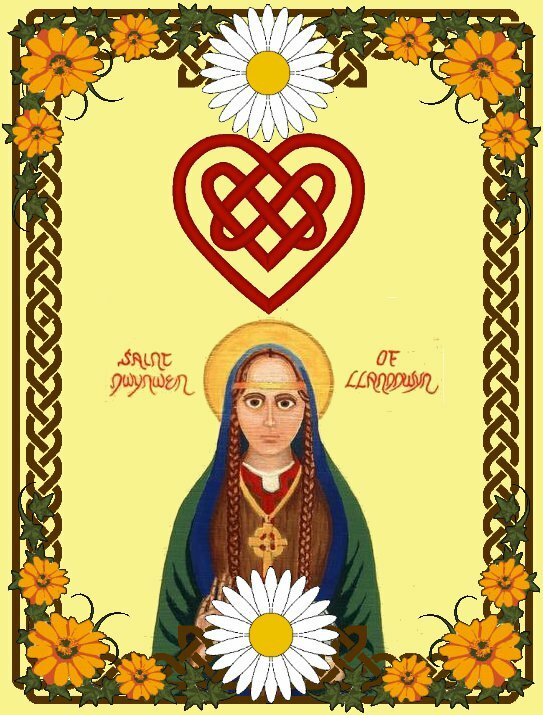 In gratitude Dwynwen ( whose names means' she who leads a blessed life') became a Nun ,setting up a convent in Llanddwyn Island, Anglesey. 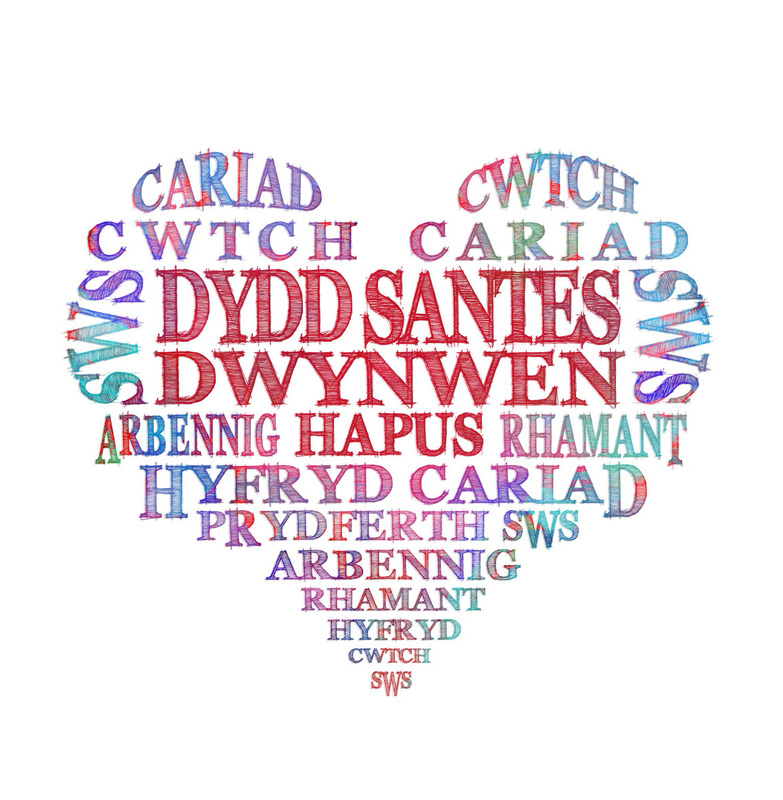 Should you take a trip be sure to visit Dwynwen's Well which is said to house eels/ sacred fish who can predict if your relationship is going to be a success! 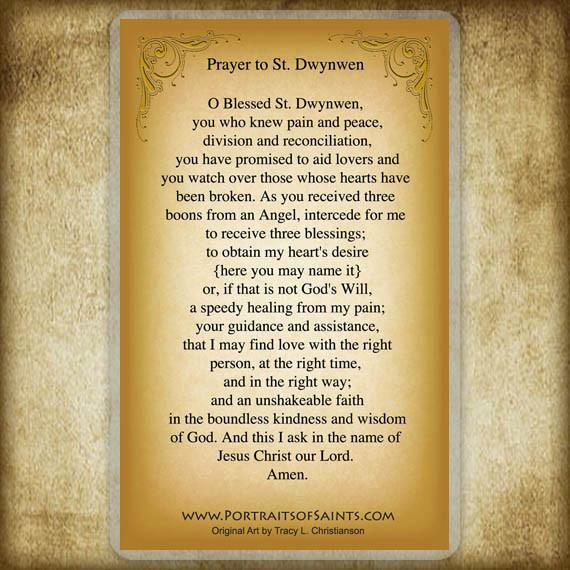 St.Dwyenwen is also Patron Saint of Farmers Beasts.